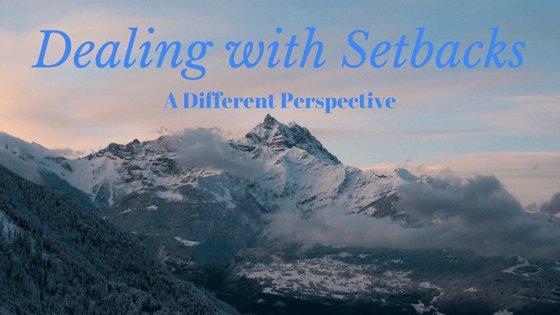 There are many ways of dealing with setbacks. But as Muslims, we have a unique approach that gives us strength and optimism, even when facing the biggest challenges. It is not possible to live in this world and fulfill our goals without dealing with setbacks and obstacles along the way. This life is not perfect. And it is not possible to have everything we desire in it. Certain setbacks are unavoidable. We have no control over life and death, natural disasters, wars, crime or even the daily weather. This is something we have to learn to live with and accept as a part of life. When you understand that the world is not perfect and that setbacks are inevitable, the next logical step is to prepare for any potential obstacles you will face in life. If you have a high goal, there is no doubt that you will face many obstacles on the way to achieving that goal. When we chase a worthy goal, we are first tested regarding how badly we want it before the opportunity to get it opens up. Get the full eBook today! One way of dealing with setbacks is to restructure how you look at them. You can look at them as obstacles or as challenges. Challenges are meant to be tackled and overcome. They force us to grow, help us tap into our true potential and develop our strengths. Without challenges, we will never grow or gain the skills needed to accomplish our goals. As the English proverb goes, “Every dark cloud has a silver lining”. Every difficulty that we face contains an opportunity, a chance to learn something new, to grow, to reach the next level of life. Stop looking at the obstacles and start looking through them at what you want to accomplish, and how overcoming this obstacle can help you accomplish it better. 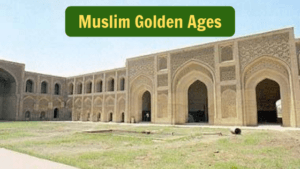 When Prophet Yusuf (peace be upon him) was thrown in a well by his brothers, it set off a chain of events including slavery, temptation and imprisonment that eventually ended in him becoming the ruler of Egypt. He needed to go through all those obstacles and challenges. Through which he learned many important things, before he became the ruler, a position in which he needed all those skills. When Abu Salamah was martyred, his wife Umm Salamah was left devastated. She was now a widowed young mother with many kids, and had lost the most beloved man in her life. She began to pray to Allah to grant her someone better, while thinking to herself who could be better than Abu Salamah. Eventually, she received a proposal from Prophet Muhammad (peace be upon him) himself, and her prayers were answered. Her challenges, and the patience it built, helped prepare her for her new role as a Mother of the Believers. And the Prophet (peace be upon him) explained, “One hardship cannot overcome two eases,” (Fath Al-Qadeer, p. 1918) meaning that for every challenge we face in life, there is double the amount of good in that situation. Every difficult situation we face is surrounded by many blessings, followed by many blessings and contains many lessons and blessings. It’s a gift from Allah wrapped up in a layer of hardship. Beneath that hardship is beauty. So much of it that you will thank Allah later for sending those challenges your way. This is, without a doubt, a guarantee from Allah. When he puts you in a situation of difficulty to test you, you will experience ease as well. For example, When the Prophet (peace be upon him) was facing great trials in Makkah, Allah had granted him the companionship of his beloved wife Khadijah and his uncle Abu Talib. They were there to make the test easy for him. And they supported him financially and emotionally, and Abu Talib’s influence kept his enemies from physically harming him. So they were an ease during a difficult time. When migrating to Madinah and hiding in a cave. Allah assisted the Prophet Muhammad (peace be upon him) by veiling him from the eyes of his enemies and keeping Abu Bakr in his company. Providing him with this ease during his difficult journey. You might find this happening in your own life, perhaps you are going through a period of unemployment. Allah helps you in many ways during this time. Perhaps by someone helping you out financially, or reducing your financial responsibilities, or by sending some good people into your life to offer you a new job or opportunity. Allah’s help comes in amazing ways that we do not understand. Whichever way you look at it, hardships and setbacks are challenges which contain blessings and are necessary for our growth. After overcoming a challenge, you will feel stronger, more confident and closer to Allah. In that way, challenges are necessary for building our self-confidence. When dealing with setbacks in this way, they become a blessing instead. 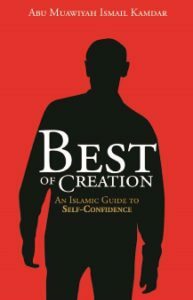 This is an extract from the eBook Best Of Creation: An Islamic Guide to Self-Confidence, available exclusively at Islamic Self Help. Get the full eBook today for over 120 pages of confidence boosting advice!